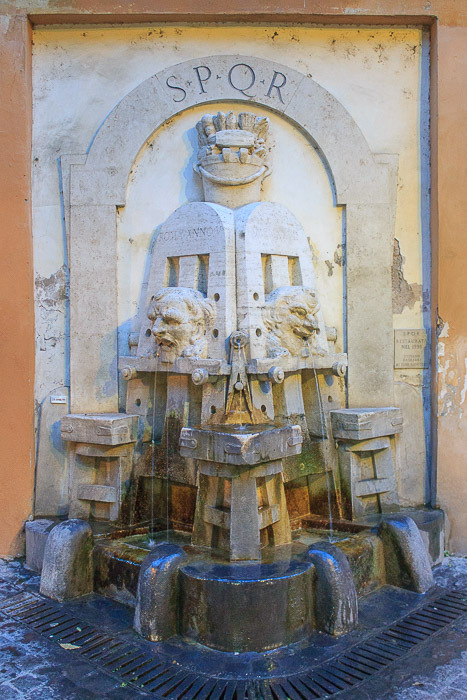 The Fountain of the Arts is a wall fountain which, from top to bottom, has a bucket of paint brushes, below which are two artists' easels, each with a face on them spewing water from their mouths, with artists' stools beneath, all standing on a triangular base. The fountain symbolizes the artists in the area dating from the 17th century, and the street is still filled with very high-end galleries. The fountain was restored in 1998. See all Fountain of the Arts photos.